Kantar Worldpanel, the leading expert in consumer behaviour, has today launched Worldpanel Plus – a new service that will be Worldpanel’s biggest sample the in the country. Worldpanel Plus will harness people’s smartphones to offer insight into the motives behind any shopping trip, in any store, whenever and wherever. Using a custom-made smartphone app, Shoppix, Worldpanel Plus allows panellists to record their purchases and the motivations behind them in real time. Users photograph their receipts through the app, which can in turn trigger surveys to assess why they made their purchase decisions. This latest launch is part of an ongoing investment programme to ensure that Kantar Worldpanel continues to deliver the best and most accurate read of the British consumer. The new service will extend the depth of its insights into markets including sporting goods, toys and tools and will offer the broadest coverage of all retail channels and outlets from one platform. By capturing the motivations behind consumers’ purchase decisions much closer to the moment of purchase, it will allow Kantar Worldpanel to support its clients in making strategic business decisions faster than ever before. 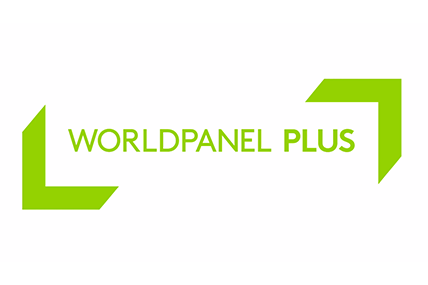 Worldpanel Plus has been developed in response to the demands of a rapidly evolving consumer market. Shoppers are facing increasing choice across a greater number of markets and platforms; brands, retailers and manufacturers need a deeper understanding of consumers’ actions and motivations to harness opportunities for growth and help evaluate their own performance. Kantar Worldpanel currently collects over 64 million data points a year in the UK alone. The introduction of Worldpanel Plus will deliver insights spanning all retail channels and outlets, while the scale of the panel, which aims to reach 80,000 shoppers, will give businesses even greater clarity on why shoppers make the decisions they do.